Shipyards will probably continue to use steel and teak wood, but not all cruise-ship builders fall back on the standbys. To be honest, seeing the Regal Princess (and its godparents, the cast of The Love Boat) stealing the show at last week’s Rose Parade inspired this re-creation celebration. 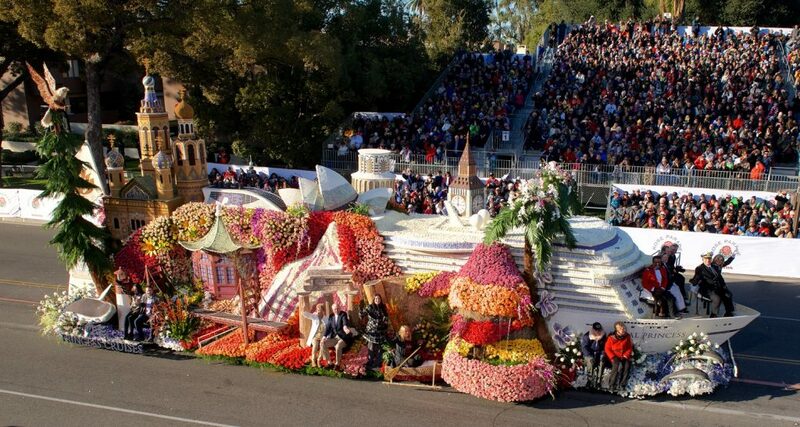 The 60-foot-long float boasted more than 24,000 roses, orchids, carnations, dendrobs, tulips, cymbidiums, delphiniums, gerbera daisies, and other flowers and natural materials, not including whatever was in the cocktails Isaac made. The Love Boat also served as the inspiration for a 250,000-Lego-brick-strong ship designed by Ryan McNaught, one of only 12 certified Lego builders back in 2011. Today, Lego-maniacs ages 7 to 12 can get in on the fun with a 612-piece set to create a two-story yacht called the Dolphin Cruiser. One designer is even trying to garner support on the Lego Ideas page for mass-producing a 4,500-piece Disney Wonder replica. ToothpicksCelebrating one of the most famed liners in history, Chicago artist Wayne Kusy used more than 800,000 toothpicks (and 19 gallons of glue) to create a 25-foot-long Queen Mary. To see the rest of his orally hygienic fleet, which includes a 10-foot-long Titanic, visit his website. There are can drives … and then there is CANstruction, a charity that hosts exhibitions that showcase (and ultimately donate) canned food in unique ways. Over a two-week stretch last year, 30,000 individual food items were donated to the Palm Beach County Food Bank in Florida, resulting in numerous awe-inspiring structures. Winning the Juror’s Favorite Award was the S.S. Can Cruise, a 7,300-can-creation by Suffolk Construction that was made without tape or glue and even included a top-deck pool. When it came time to celebrate Carnival Corp.’s 100th ship (Carnival Magic), all of Carnival’s brands wanted to create the perfect cake. A competition with a $10,000 grand prize was announced, and the culinary team on Holland America Line’s Rotterdam ultimately took the prize with its sweet fleet, seen here navigating the retreat pool while in port in Manta, Ecuador. 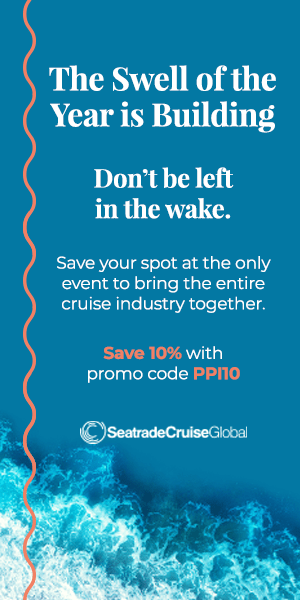 Catch the Wave… It’s time for great cruise deals — and difficult cruise choices! What a neat post! It’s fun to see an accumulation of creative ideas about cruises, especially the cakes! What a great collection! It must have taken forever to do the toothpick one. My favorite one is the Lego ship!